Played here our 3rd day of the trip. Was kind of a drive compared to the others but not bad. Nice open course but still challenging. 6 sets of tees which makes it nice for all levels of golfers. We did not play the back tees but they were insane long. Course and greens in nice shape all around. We loved playing this course! The conditions were wonderful, very well maintained. The layout of the course was extremely fun, a challenge but not overly hard. A really great day! Great course in very good condition - great service and nice amenities. Definitely would play it again. Loved this course. Very player friendly, wide fairways. The only downside is that is was about 45 minute drive from Old Naples. If you have played Panther Run Golf Club, we would like to hear from you. 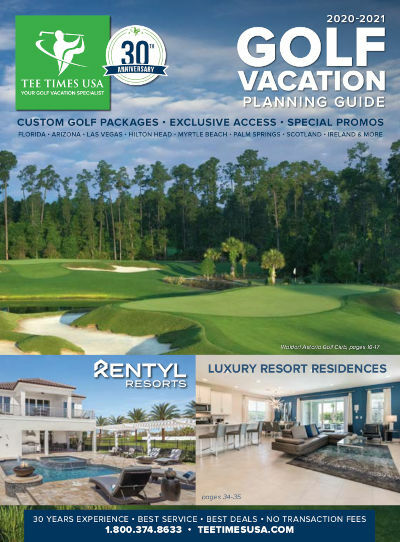 If sticker shock during high season in southwest Florida has you feeling blue, head for the greens of Panther Run Golf Club, a semi-private 18-hole championship golf course nestled in the heart of southwest Florida, providing a great experience and excellent value less than 30 miles from Naples and the beaches of Collier County. The Panther Run golf course was built with a strong dedication to preserving the landscape's beautiful natural features and significant environmental resources, even as residences started being developed. The greens at Panther Run Golf Club are its biggest treasure. The greens at Panther Run Golf Club can get up to 13 on the Stimpmeter around the time of the club championship in March and consistently run at a 10 all year long. Seniors, ladies and higher handicaps appreciate its wide fairways. The 29 lakes and ponds at Panther Run Golf Club are in play from time to time, but more often than not they're set back on the perimeter. Water squeezes the short par-4 eighth on either side of the fairway. Other dangerous swings come off the tee at the par-4 5th and 16th, where water pinches the fairway. The day ends strong with No. 17, a long watery par-3 with a huge swale in the middle of the green, and No. 18, a par-5 with water protecting the green.